For the past decade, Ben and Bogey have only seen the world from behind bars. 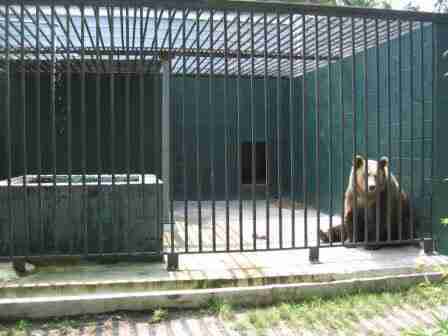 Trapped in a roadside zoo in North Carolina, the two bears spent every day locked in separate cages so paying guests could watch them and take pictures. Bogey paced back and forth on the concrete floors of her cage all day, desperately biting the bars in frustration. Ben, on the other hand, was suffering from arthritis and sores on his face that received little to no veterinary attention. He spent most days just lying still from the pain. 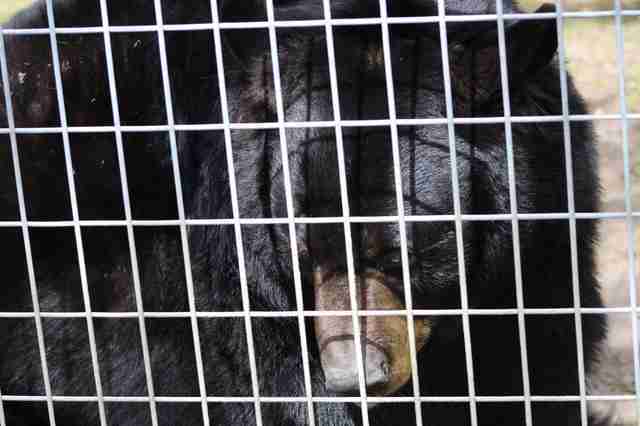 The bears were so miserable there — but luckily, help was on the way. 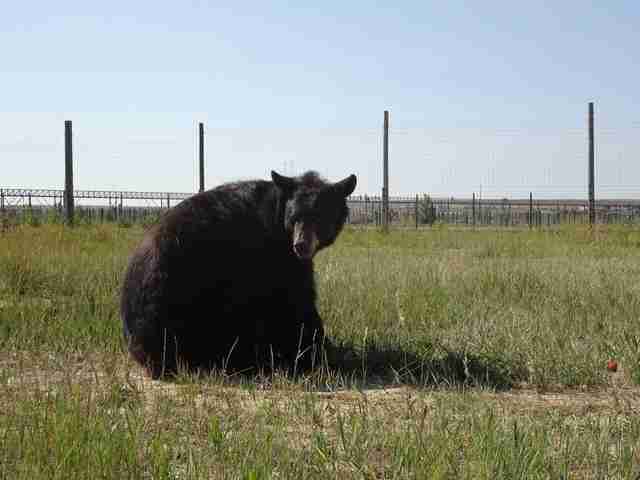 PETA stepped in to rescue the bears and arranged a wonderful new home for them at the Wild Animal Sanctuary in Colorado. Now, after a year with expert care and room to roam free, they’re like completely different animals. At the sanctuary, both bears spend their days swimming, playing and foraging — something they’ve likely not done their entire lives. 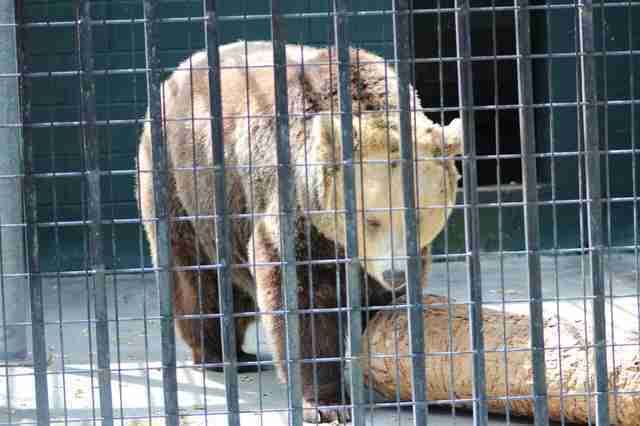 Because Ben is a brown bear and Bogey is a black bear, they have been introduced to others of their own species at the sanctuary. They're loving the opportunity to roam free in the grass and feel the sun on their fur, all while being able to socialize with others of their kind if they choose. As with exploring open land for the first time, it’s also likely the first time since being infants that the bears have lived among others of their kind. In the tourism industry, bears are often torn from their mothers as cubs for use in various attractions like petting experiences or cub selfies. 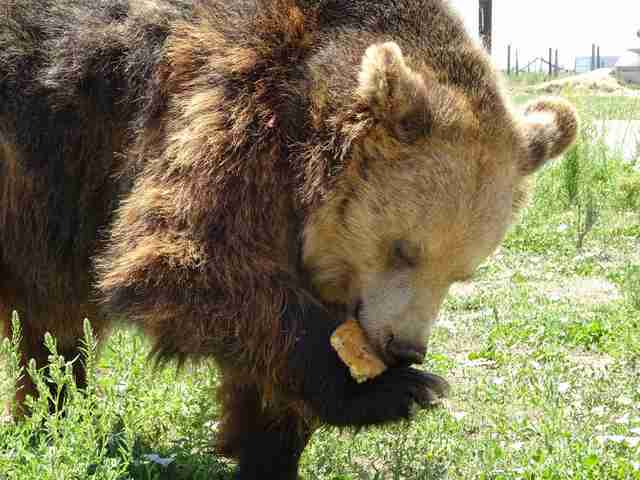 Luckily, these strong bears are free of that treatment after so many years. Cryar said she hopes their story will encourage people to help others like them by avoiding any tourism attraction that features live bears in captivity. 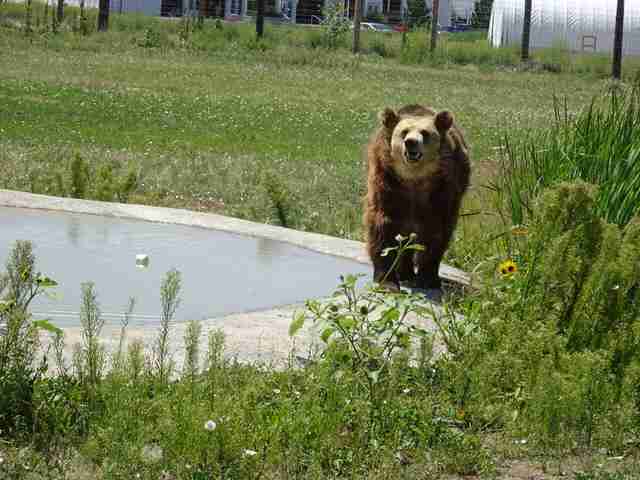 To support the continued care of Bogey and Ben, you can make a donation to The Wild Animal Sanctuary.